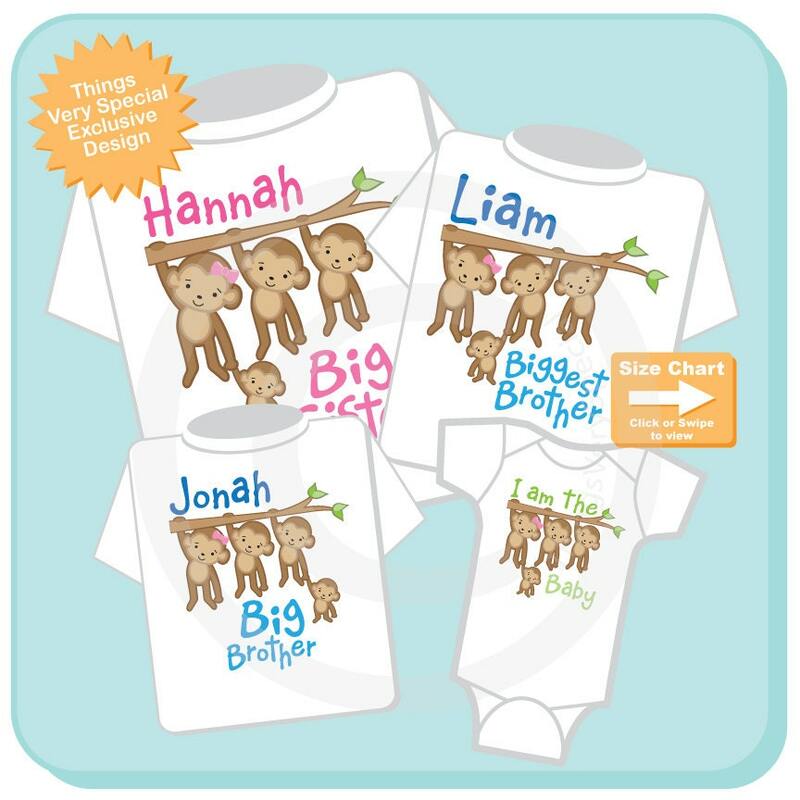 Super cute set of four shirts or Onesies are the combination of Big Sister, Biggest Brother, Big Brother and I am the Baby gender neutral. This set can be done with any combination of boys and girls. If you need a different combination please contact me. Name you want for each of the three oldest. I am beyond thrilled with our shirts! There was an issue with my order when I first got it, but the owner was very quick at rectifying it. Very friendly, and kind! Quality is fantastic! 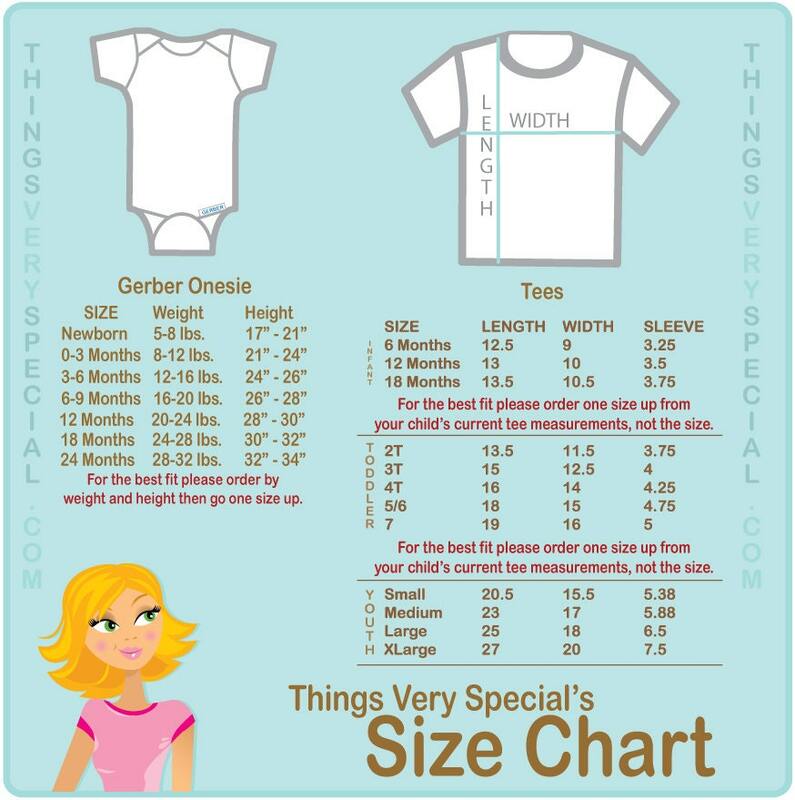 This set of shirts was to announce that we were pregnant with #4! I ordered them later than I had planned, and just figured we'd have to wait to start telling people. After I placed the order, I realized that if I didn't get to tell people this weekend it would be 3 weeks before I'd see them again! I really wanted them by Saturday (4 days after order was placed). I accepted that just wasn't possible and started trying to decide if I should just tell some family (including my 3 kids) without the shirts! THEN, I got the shipping notification, the items were shipping out a day early, and when I went to track on USPS, they were sent Priority Mail - 2 day! They were going to be delivered on Saturday!!!! We got the shirts in time for our kids to be excited with us, then family came over and were so excited after reading the shirts!